Dean as I said to Walter, oh for a world with manners aka respect/care/consideration. Loved your idea of poster! Thanks for the comments. Hi Dean. A warm welcome to Prick of the Spindle group from the entire team! Hi, Dean! So nice to see you here! Welcome, Dean! I spent some time growing up in Tokyo (specifically, Roppongi). I always look back with fondness. Looking forward to seeing more of your writing. Rainy season's a comin. Get your umbrella brother! Glad you are here, Dean. Can't wait to read one of your stories. What's the weather like in Tokyo? 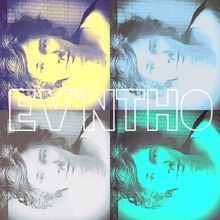 You must log in to write on Ev'ntho's wall.